Today we are providing World Geography Complete Hand Written Notes In Hindi . 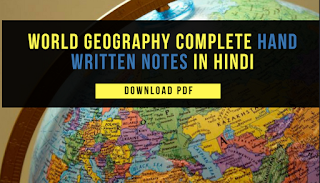 These Notes are very important for UPSC and State PCS exams.These Hand Written Notes are written and compiled by Raj Holkar. All credit goes to Raj Holkar for his Hard work.Follow Him on Facebook For more Study Notes. 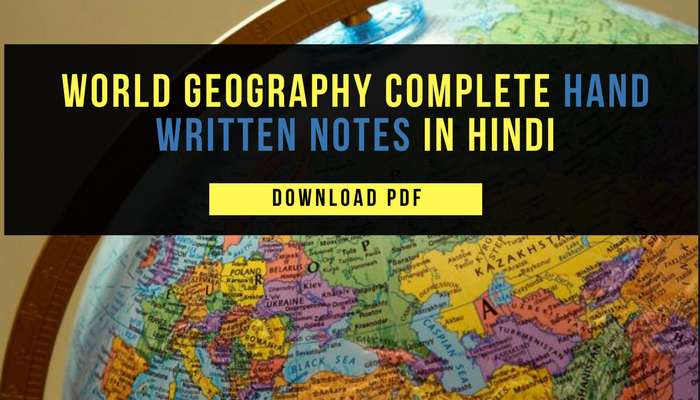 Click Below on provided link to download PDF World Geography Complete Hand Written Notes In Hindi.